Dr. Glenn DeBias and The Institute for Laser and Aesthetic Medicine provide acne treatments and laser and energy-based skin treatments to help patients improve their skin health and appearance. Active FXTM is the Gold Standard for acne scarring resurfacing. 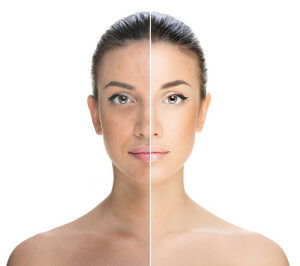 The Institute also offers other minimally ablative treatments, including RF (radio frequency) microneedling, which may be a viable acne/acne scar treatment. Their treatment center is in Doylestown, PA, serving patients of Bucks and Montgomery Counties, and the Philadelphia region. If you are a new patient, Dr. DeBias would be happy to sit down with you for a consult and find a skin care plan that suits your goals and needs. Dr. Glenn DeBias is the inventor of the first fractional CO2 procedure, Active FXTM, for which he is internationally recognized. He has performed more than 20,000 fractional CO2 procedures to date, qualifying him as the most experienced laser CO2 practitioner in the United States. Dr. DeBias and The Institute for Laser and Aesthetic medicine have performed over 250,000 aesthetic procedures to date. Set up a free consultation at The Institute for Laser and Aesthetic Medicine and Dr. DeBias will work with you to determine the best approach to improving your skin health and appearance. One visit and you will be on your way to a more cleansed appearance!